Gold and Silver Supply Is VERY Tight! GOFO rates had gone negative for 29 of the last 30 days before turning positive for the last two. GOFO stands for “gold forward” rates. In other words, when gold gets leased out there is interest paid by the borrower and received by the owner. When these rates go negative it means that there is more interest payable (higher rates) to the holder of gold than to the holder of dollars. You can look at this from several vantage points. First and most obvious is that gold “supply” may be tight, in other words there may be difficulty in sourcing gold. From another perspective, it can be viewed as too many are trying to exchange dollars into gold or that interest rates on dollars are too low (or could be too high for gold?). The thing is this, you have always heard the saying, “but gold doesn’t pay any interest or dividends” which is true… unless you are willing to lend it out for interest. The easy way to understand this is that there are simply not enough lenders willing to lend their gold out into the market place which is another way of saying that supply is tight. The risk to the borrower is that they might have to deliver higher priced gold while the risk to the lender is that they may never see their gold again. OK, now let’s look at the COMEX and the futures market. Since you can lend gold out and receive interest for it, it then follows that “gold in hand” could (should) be worth more say six months down the line because it can be lent out and returned with an added 6 months interest attached to it. This is why “futures” prices are almost always above the spot price for gold and silver. This should ALWAYS be no matter what …because they are “money” that are not subject to droughts, floods or whatever that can affect the supply greatly. This is the case EXCEPT for couple of “mega sigma” events happening. In one instance, it is possible that traders become fearful that they will not get delivered their contracted gold in the future which would make “gold in hand” worth more to them than the promise of future gold. They may be fearful because they feel that the current supply is tight and are not sure that future supply will arrive or they may even be fearful that a system wide crash or default will occur before their contracted delivery which might leave them high and dry. The big point here is that “gold in hand” can never ever be worth more than gold in the future (IF you know for sure that it will be delivered) because you can earn interest on it. I have gone back and forth with several theorists as to whether or not we have already seen backwardation or not. To their credit, we have not seen it yet in the out months but they are very flat. 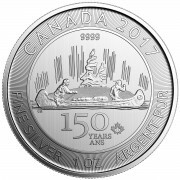 So “flat” that we are only talking .50 cents or less for 6 months out. But, here is where it gets interesting. I spoke with a Chicago floor trader this morning who told me that he has actually executed 3 separate “back warded” gold trades since last June. Normally for example you would buy a June contract and sell in August for a $1 credit, thus buying today and selling later at a $1 profit. On 3 separate occasions, this trader tells me that the spot month has gone to a premium over the future month in the delivery process. This past February it went as high as a $3.50 premium. So how could this possibly be? How could gold have gone to any premium at all? How or why could it ever be worth more today than in the future? Does the old “bird in the hand versus two in the bush” come to mind here? The only way that the delivery month (for gold because it is money rather than a commodity) can trade at a premium is if it gets bid up in price or the future month sold down in price, one or the other and as simple as that. The delivery month will only get bid to a premium if enough buyers either question the available current supply to deliver or question the availability of future delivery. There can be no other reason than this, does or will the supply exist for delivery? Yes I know, it will be said that “short sellers” may have gotten spooked and bid the spot month to cover a position but why would you do this if supply was not a question and could “buy” your gold in a future month for less if you were 100% sure that you were going to get it? The above was written after GOFO rates had finally turned positive after a negative run of 29 out of 30 days. As I wrote then, this should never ever happen for even a single day unless one of two conditions are present. 1. 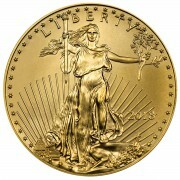 Gold may be very difficult to source and borrowers of gold have a difficult time finding the metal to lease or 2. Owners of gold begin to refuse to lend because they fear not receiving their gold back in the future. This is very simplified but the bottom line is that a negative lease rate shows “tightness” in the physical market either because too many want to borrow gold or too few are willing to lend it. Fast forward to this past week and we see the GOFO rates more negative than any time since 2001! Too many searching for metal? Too few willing to lend? I don’t have the answer to this but I do know the lease rates are far more difficult to “fudge” than is “price.” What do I mean by this? “Price” can and is suppressed by the sale of more futures than there is real supply. The perceived supply is simply “watered down” by posting margin and selling “gold” which does not exist. Lease rates on the other hand involve actual and real weights of metal. This “real metal” cannot be faked or substituted by the financial machinations of posted margin. I am sure someone will point out the concept of “re hypothecation” which certainly does exist and very well may be a reason for the tightness …the “chain” may have grown too long? This is a topic for another day. OK, so the GOFO rates are now more negative than any time in the last 13 years, we saw something else on Thursday and Friday which may also be connected. As of Thursday, there were only 33 Nov. Gold contracts still open and awaiting the delivery process. Scotia was served 920 contracts Thursday and another 462 on Friday. Please understand this was done “interbank” between Scotia by and large as the stopper, and JP Morgan the issuer. We are talking about 138,200 ounces of gold of which delivery is being demanded …NOW! We don’t know if it is Scotia who has a desperate need for the metal or one of their clients but we do know it is someone, otherwise these transactions would not have occurred. This of course leads me to a question that a 3rd grader might ask, “Daddy, if the price of gold went down because so much of it was sold then why isn’t it available?” I would ask where did it all go? Why are there ANY signs of stress or tightness when theoretically you should be able to just walk the streets and pick it up like placer gold? What happened to the 40 tons of gold that was sold a week and a half back at 12:30 in the morning? Or was this just “paper?” Of course if you were German you might ask why you could only get 5 tons last year and if you might get a little more this year since it’s so “plentiful”? Oh, I forgot, this is now considered called a “diplomatic snafu” and has nothing to do with supply. Folks, this is really big news and a huge “tell” as to the state of supply in the gold market. Just add these two pieces together, negative GOFO rates and notices instantly being served in a very small delivery month… you get a picture of severe supply tightness. This in no way is compatible with weak pricing! Something has to give and since “delivery” in the gold market is a major part of the equation, the sale of derivatives will not cut it much longer. Just as machinery will not run on COMEX diesel futures, Eastern vaults will not be filled with derivative contracts! I think that the cracks in the charade are beginning to show. The word of the decade ahead may very well be DESPERATION. We will see many actions in the future that will telegraph a growing desire for physical and a declining interest in the paper shuffle. A scramble for physical may already be beginning. yes, GOFO rates suggest the scramble has begun. When the day comes and there is absolutely no physical AU/AG in size in the West for the Eastern entities then what? The proverbial moonshot? Say AU goes to $5000 and AG goes to $250 and I take a percentage of my “stack” down to the LCS to sell to pay some bills. Why do the banks care if they purchase my AU stack from me at $1200 or $5000. They just print the money anyways. they “care” now because the system is based on confidence. $5,000 gold would not suggest confidence would it? Hi Bill – Thanks for yet another great article! I know everyone says this cannot continue – and that something has got to break, but the question is, WHY? Please don’t think this a flippant question… I am truly trying to understand why this MUST break. I guess could see someone buying the last of the reserve of metal and standing for delivery at the COMEX, but that hasn’t happened YET :). And I can certainly see that numbers for inventory and such could be fudged to look like there is more inventory than there is – and then there suddenly isn’t any metal left. I just wonder though if the COMEX became seriously tight, and just paid cash equivalents how that would break the system. While that may not suit everyone, the COMEX is all a paper game so there doesn’t seem to me to be much difference if they have metal or not. The PTB have gotten to this point, but who knows how long they can make this last. I keep seeing folks who blame everything that happens on some Machiavellian plan by TPTB, then say’they aren’t in control’ which seems to me to be contradictory. If ‘they’ve’ planned for the future (retain power, continue to be rich, etc), then not much will deter ‘them’ from their plan given the level of power ‘they’ already have to follow through with (almost infinite). BUT… If ‘they’ are riding by the seat of their pants (maybe with A plan, or maybe multiple plans, but not THE plan 🙂 ), then some coincidences are just that, and all bets are off. I tend to be believe more the latter than the former. I don’t want the system to break, and have major calamity ensue. I have to admit though that knowing the system WILL break, but just keeps holding on by a thread is very frustrating. Like trying to catch a knife when you don’t know when it will fall. Constant vigilance at some point becomes very fatiguing. I guess I’m one of those ‘get to the pain so I can get through the pain’ kinda guys. good questions Rob, I do think COMEX will go cash settlement, TPTB still have control and will not lose it until they can no longer deliver metal. And I agree, this is fatiguing and the sooner we break down the sooner we start rebuilding. I can’t believe you (Rob) did not write about a simple consideration of launching wars – a World War at that, with nukes/bio-terror etc. – by TPTB to stay in control. unfortunately it is a possibility. @ Theravaida – Good point, though I think other countries (especially Russia) are on to this tactic. I don’t think TPTB in the US will be able to easily goad someone to war without being culpable to starting it. And while our population sleeps on the out and put theft going on, they do understand and reject war as we saw last year with Syria. TPTB may get desperate to start something with a false flag but that has risk. Especially with all the doubt around 9/11 and both Malasian airlines planes. Deliveries at the comex has been rumoured to be strongly not advised for quite some time, except for major players such bullion banks. you are misunderstanding this, these two days are complete anomalies and nothing of this scope has happened before. Certainly not back to back,… someone desperately needs gold. To everything there is a limit. There is a limit to how much you can borrow. There is a limit to how much you can spend. There is a limit to how long we can believe lies, even if it is easier to believe the lies than confront the truth. The day is near that the masses with loose confidence in the fiat currencies and when that happens the charade is over. The fix is returning to sound money and sound money is precious metals. Unfortunately, those of us that have prepared will need to be cautious because those that have not prepared will be desperate. @ Mike – I agree but with every US citizen fully vested in dollars, i think denial is strong. I remember taking a flight and hearing a conversation between a flight attendant and passenger in 2011 talking about what happens after we go over the fiscal cliff… They both knew the dollar was on limited time but had no clue on where to go… I didn’t get the feeling either were to keen to making changes. Neither liked the prospect of owning and holding real metal – not paper. I suspect most will fight reality until it gets so catastrophic that there is absolutely no way to function. Even then I think MSM will find a fall guy for the public ire. Probably those mean rich people, or maybe the Chinese. So sad. owning metal is too scary for some people. Another great article Mr. Holter….still anticipating some big delivery days yet in November…will see. thanks Rodger, we just had 2 stunners already! You’ll know when metals are about to spike, because TPTB will spend the preceding months demonising its owners. There will be a hotline you can call to tell the authorities about anyone you think might be “hoarding” gold and silver. And there will be windfall taxes. The USA is a hotbed of large scale plaintiff class action lawsuits. Where has most silver gone since 1947? The Silver Users Association claims to use 80% of silver industrially processed in the USA. In any nationalization/confiscation, it would have to be a Federal thing. The silver would go nowhere but to these SUA interests as it has for 67 years. If it happens, we sue them for their entire net worth, and organize crippling consumer boycotts. We might even get farther ahead if they pull such a foolish stunt, and in the eyes of the world, put the lie to the claim this is the bastion of world freedom. But the main risk is war. “We are at war, we have no silver for defense.” The government is not the threat as I detail for anyone who reads me. Tell your Senator and Congressman—no more overseas wars! I disagree with the legal part and agree with the “at war” part. What’s to disagree with? These interests have bled silver miners for generations, they looted the Treasury silver and most of the former US national military silver reserve. If SUA companies went broke, others will easily fill the gap—including with employment, which the SUA companies largely exported years ago. 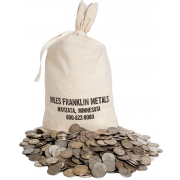 As far as Federal silver grab, all they have to do is holler “precedent” and Brian Williams will start railing about unpatriotic silver hoarders. So Harvey Organ made a statement few days ago, that COMEX is already settling contracts with paper. But he did not provide much concrete evidence to prove it. I don’t know if posting links within comments is allowed here. If it is, I’ll post link to his specific claim in a followup comment to show what I’m talking about. Do you know anything about this, if something like this is or isn’t already happening? Harvey doesn’t reply to comments on his new blog anymore (unlike his older blog). in my opinion there has been cash settlement at times as not enough metal actually moves. Earlier in the year, this was tracked for big delivery months and often times it looked as if contracts were served but then nothing moved or happened and delivery was late by two or three months. Sooner or later we will find out and the I believe the skeptics who claim that all is kosher will be quieted. Time will tell. Nefti says the metal hoarders will be caught one way or another. It seems to me that you would have to have one hell of a lot of metal to be called a hoarder. If so, the small penny anti hoarders will be home free. and maybe be able to survive for a year or two. Could this be true or am I nuts? In the old USSR, you didn’t need to be a “traitor” to be accused as one. Who called the “traitor hotline”. no it’s not …but, it is in a non primary delivery month, one that has only 7-8 days left to deliver and an open interest of a whopping 33 contracts. What IS large is the 2.8 million ounces (80 tons!) of gold sold in 15 minutes on the COMEX today. This is 2 weeks worth of global production and 3 times the amount of registered gold the COMEX purportedly has available to deliver. —–How’s that for “perspective”? 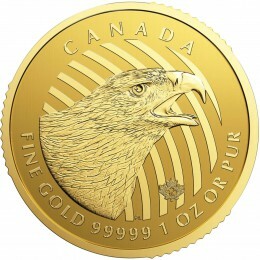 All the Gold that has ever been mined is still in existence and is therefore available for sale at any or all times. Unlike all other commodities, the higher the ‘for sale’ price goes, the less it will come to market. Put simply,most people think that fiat is money and very few realise that is confetti. Gold beats confetti hands down. …AND much of the silver ever mined is no longer recoverable.